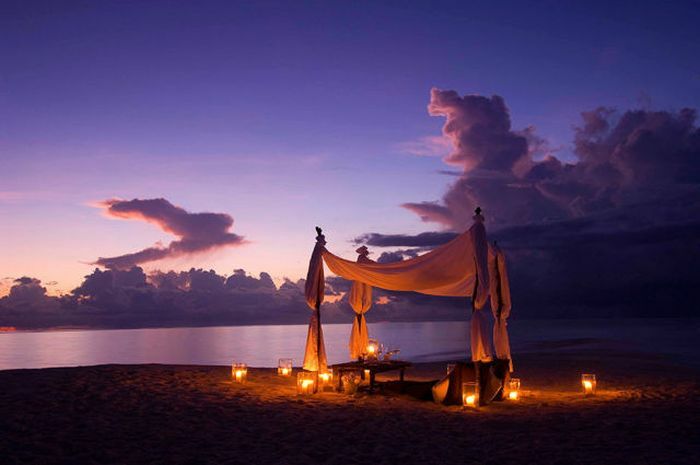 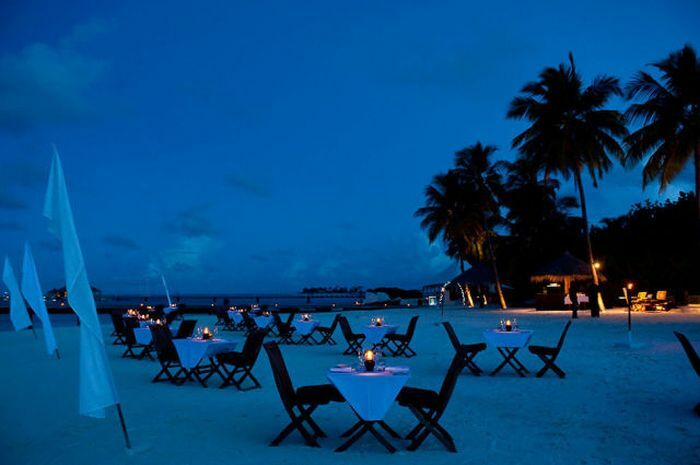 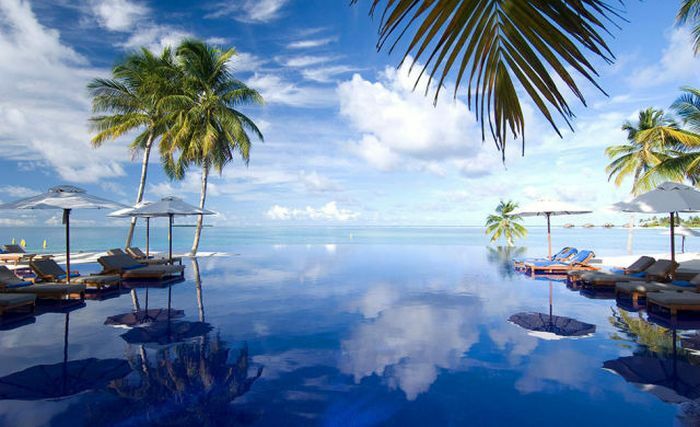 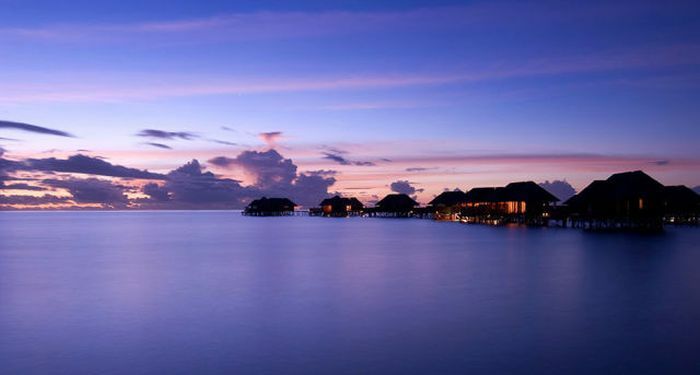 Welcome to the luxury, five star, Conrad Maldives Rangali Island resort. 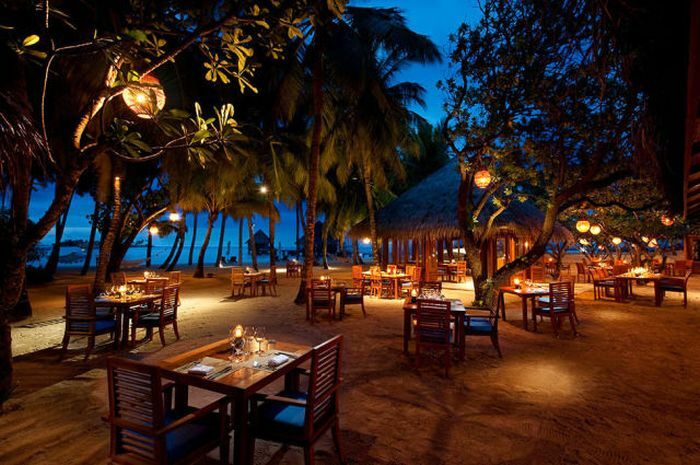 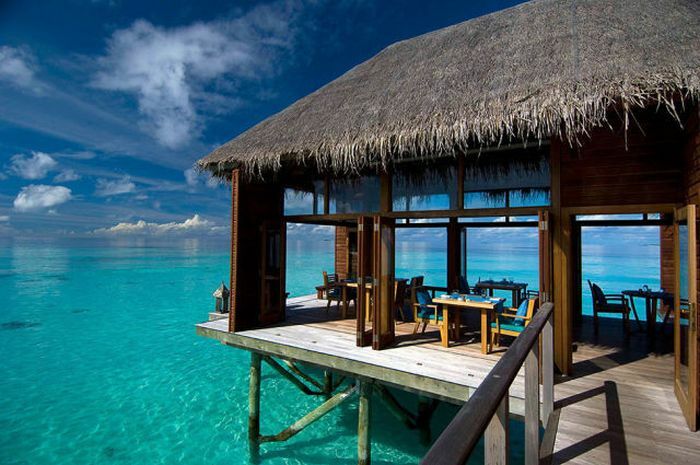 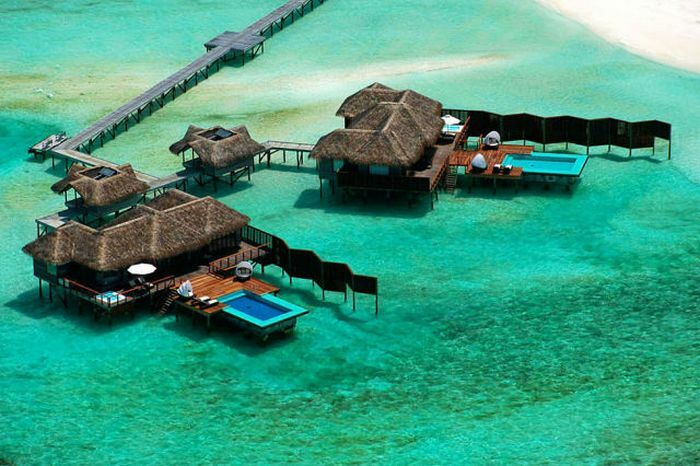 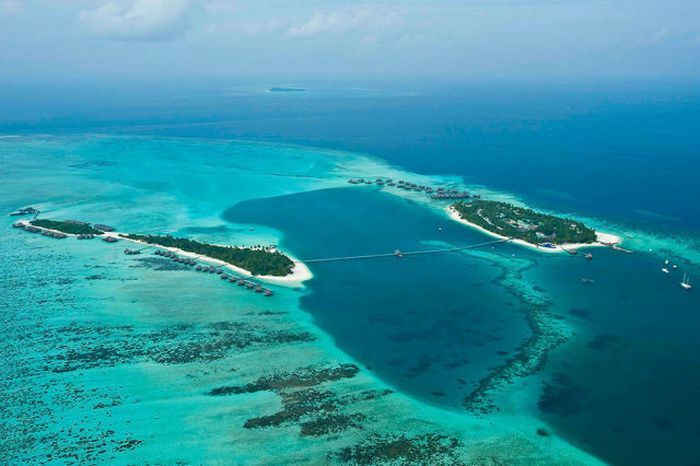 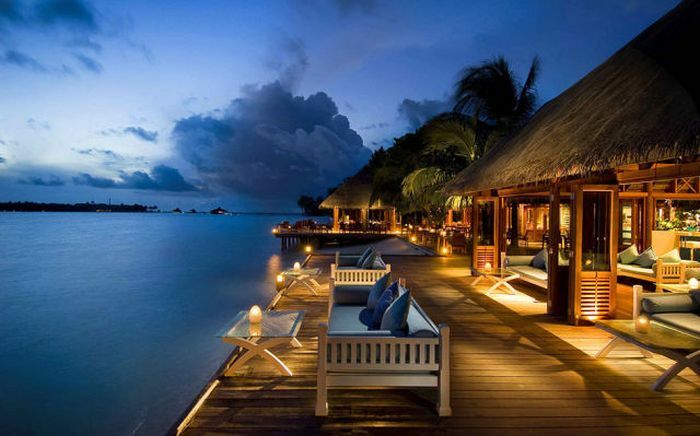 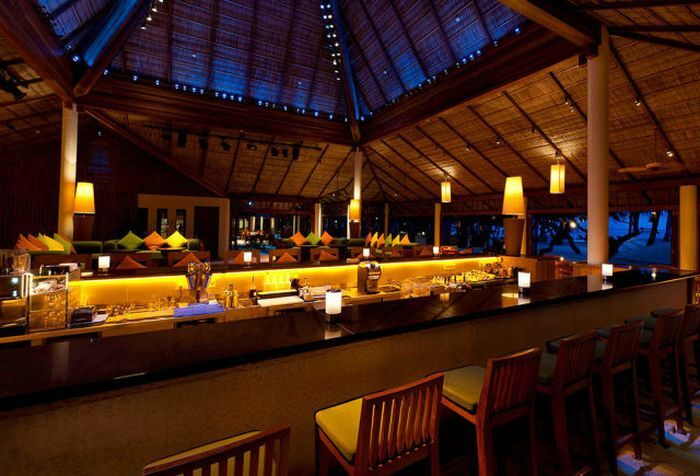 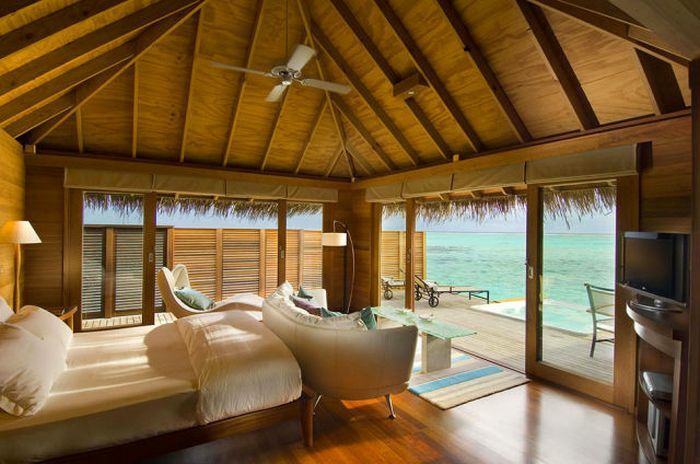 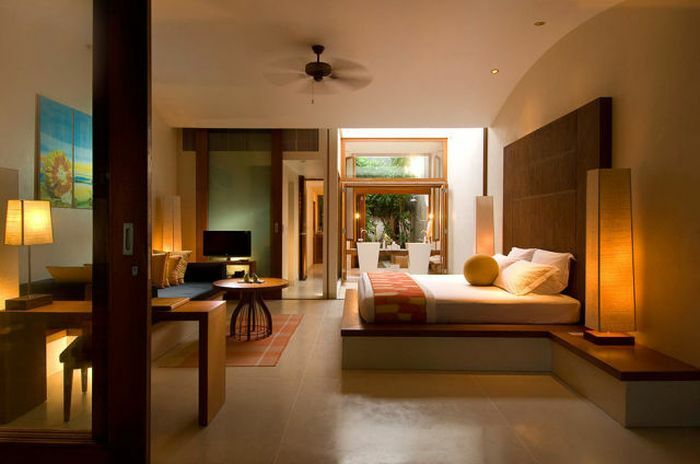 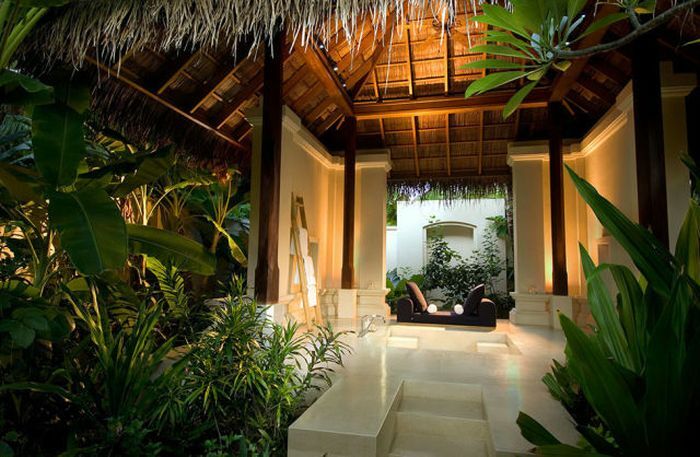 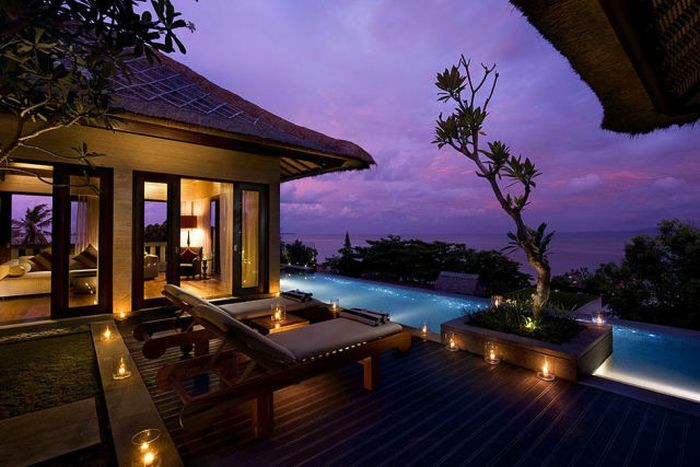 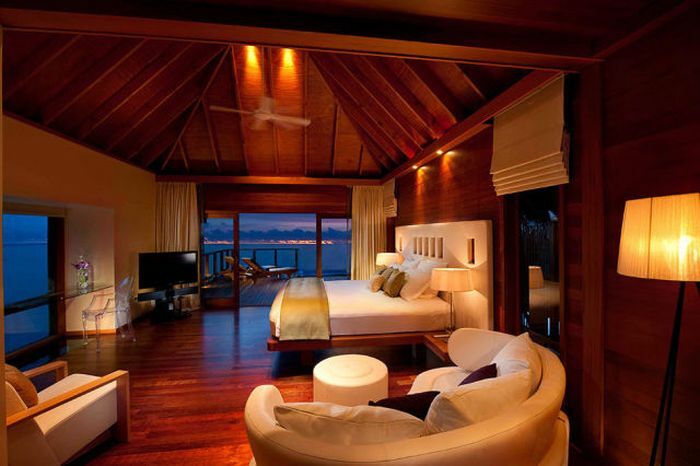 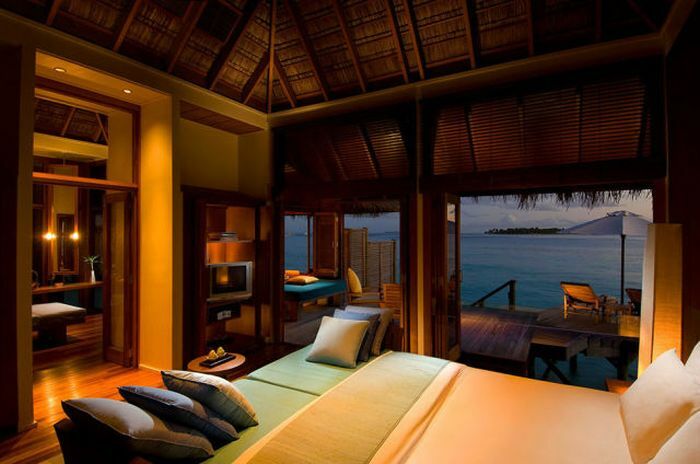 It has 50 water villas, 79 beach bungalows and 21 spa villas. 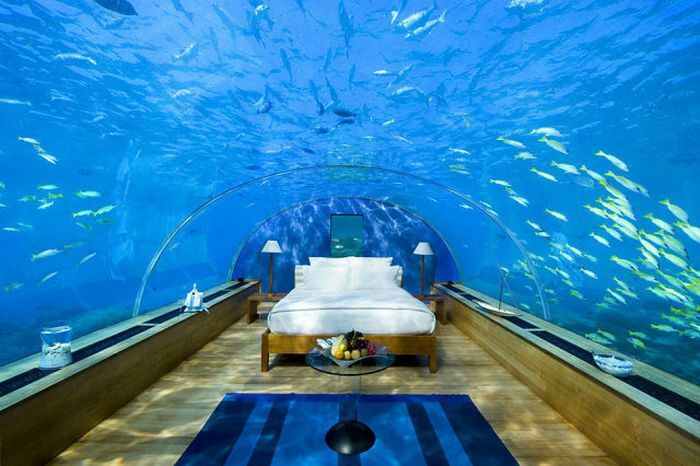 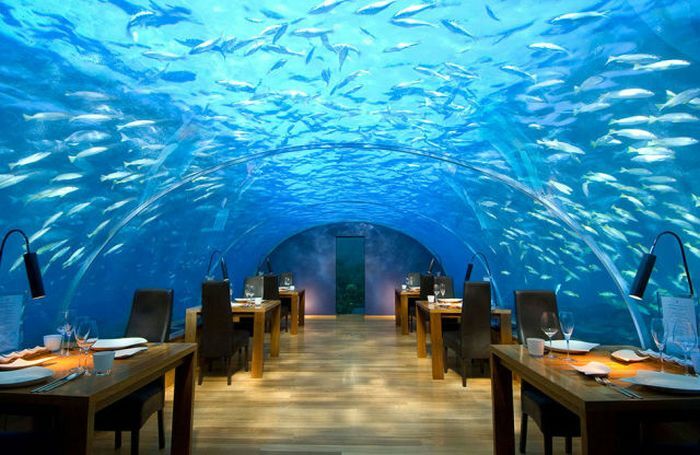 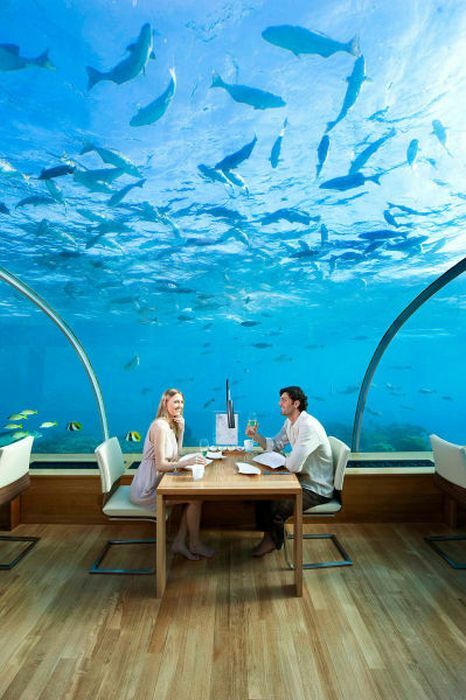 There is also a very spectacular underwater, glass restaurant that can also be converted into a suite serving dinner and breakfast in bed. 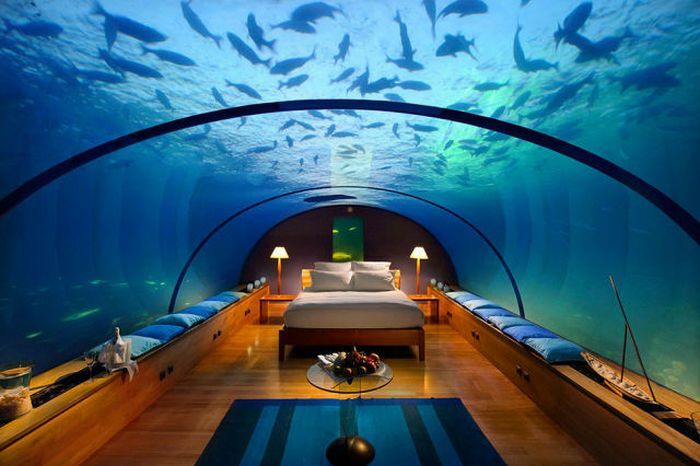 Ok, I'm gonna rob a bank or something and send you some pictures from there. 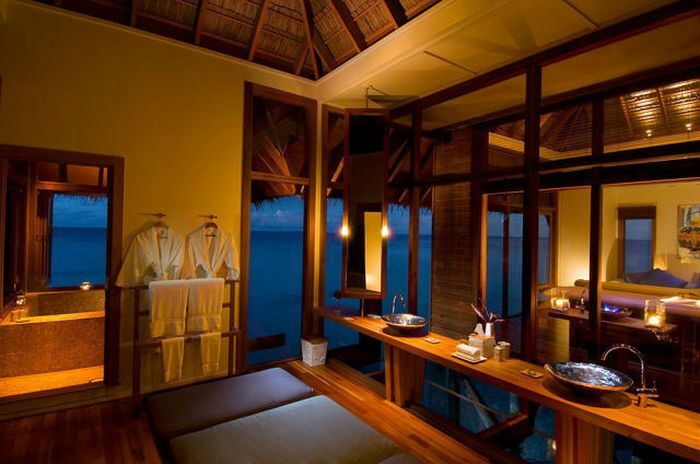 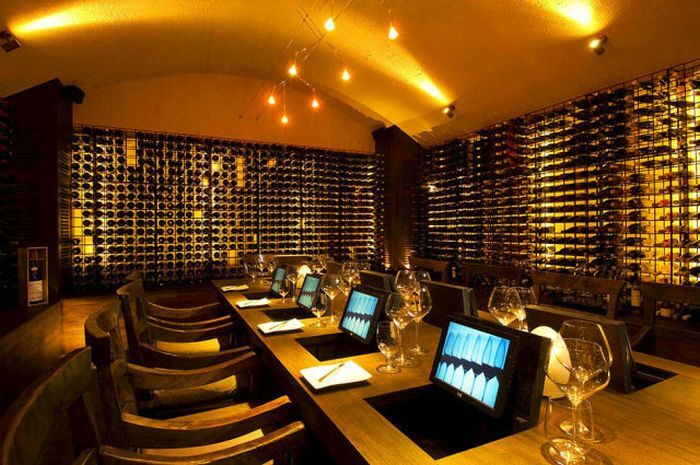 Awesome place, but what do you do there? 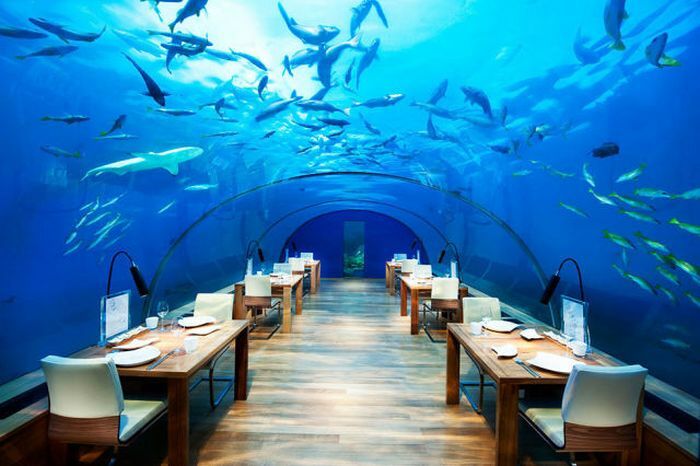 Sit, eat and watch the water that looks like a dam? 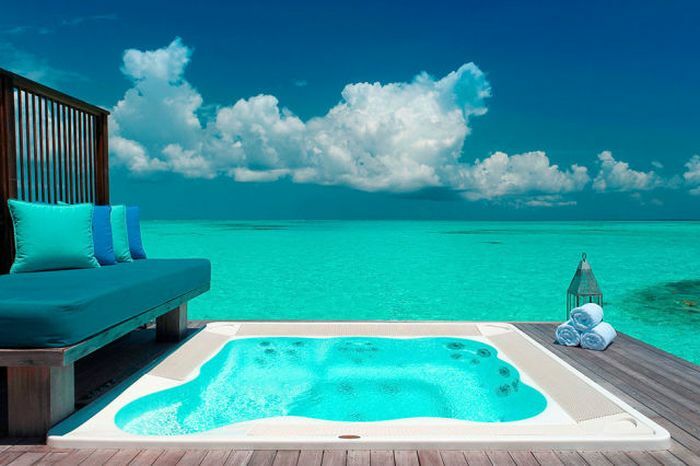 No waves to frolic in. 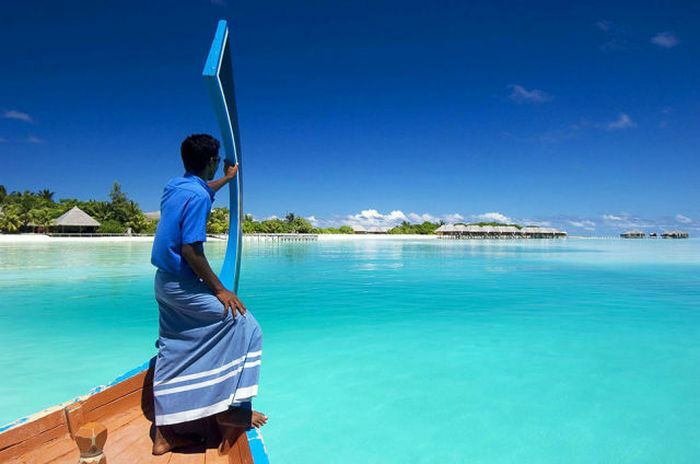 A bit of boating, snorkeling and fishing maybe? 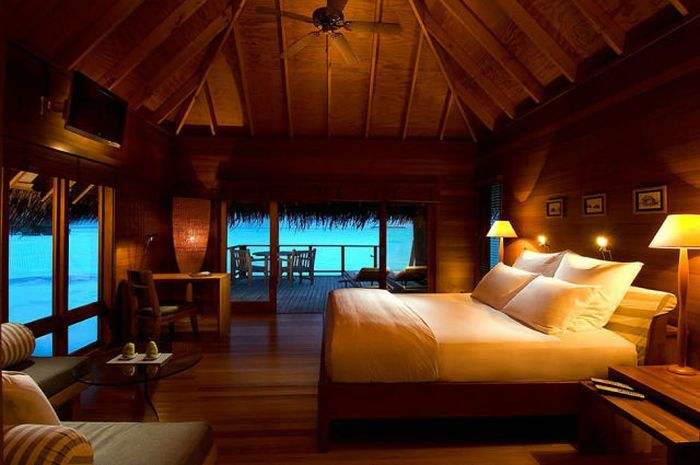 Mind you, all that and the idea to be away from it all makes it mighty tempting.